Less-than-stellar review scores for the new shooter Homefront have take their toll on THQ, driving the company's already-low share price down by more than 20 percent. THQ was counting on big things from Homefront, the Red Dawn-esque FPS that came out on March 15. 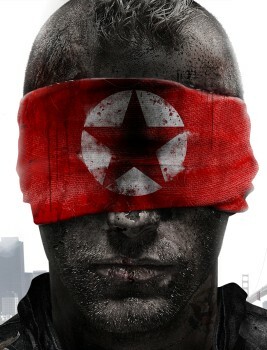 The game promised a different take on the modern combat shooter genre by telling the story of American civilians fighting a resistance against invading Korean soldiers, but while the concept was intriguing, the game hasn't quite lived up to its early promise. Our own Russ Pitts scored it a 3/5 in his review while on Metacritic it's put up an average of 73 across the PC, Xbox 360 and PlayStation 3. Those are far from spectacular numbers and THQ is feeling the brunt. Its share price, which had already dropped by more than 15 percent since the company lowered its profit outlook in its third-quarter earnings report in February, took another sharp turn downward today. After closing at $5.94 on March 14, it opened at $5.43 today before ultimately closing at $4.69, a close-to-close slide of 21 percent. "This score is a bit of a disaster for THQ and the share price today is reflecting that," said Mike Hickey, an analyst with Janco Partners. "The market is a quality driven market [and] you need at least a score of 80 and above on Metacritic to do well." The game's critical failure could also spell bad news for Kaos Studios, the developer that actually made the game. Following reports that THQ was considering relocating the New York-based studio to tax-friendly Montreal, vice president Danny Bilson explained that the decision would hinge largely on the success of the game. "I tell them the more successful a game is, the better the economics are for the franchise, and that will help to influence what we do," he said earlier this month. "A lot of it has to do with how successful it is and how strong that core team comes out on the other side."